Bangladeshi garment manufacturers want to tie up with their Sri Lankan counterparts to add more value to the garment supply chain and reduce the lead time by at least 10 days. 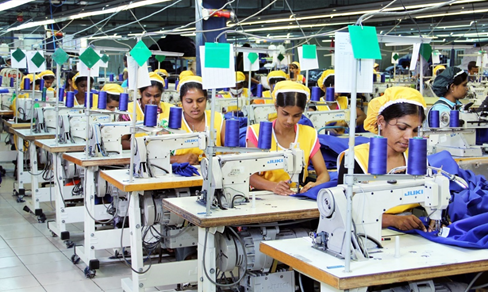 The development comes after Malik Samarawickrama, Sri Lankan minister for development strategies, put forward the idea in a meeting with the leaders of Bangladesh Garment Manufacturers and Exporters Association last week. “The business can happen in joint venture as well if we agree,” said Siddiqur Rahman, president of BGMEA, the garment sector’s apex trade body. Under the agreement, the Bangladeshi garment manufacturers will send the basic items to different garment factories in Sri Lanka for finer washing, remaking and adding more value as Bangladesh has abundance of work orders now. After remaking and finishing of the goods, Sri Lanka will ship them off with the ‘Made in Bangladesh’ label to different European markets from their deep sea port. A group of BGMEA leaders are scheduled to visit Sri Lanka soon to discuss the issue, according to Rahman. Due to proximity of the Sri Lankan deep sea port to Europe, the lead time will be cut by at least 10 days. Any kind of garment products can be sent from Bangladesh to Sri Lanka to be re-exported. However, Bangladeshi garment makers will primarily send the items that the local manufacturers are particularly not strong at. For instance, Sri Lanka has an edge in innerwear, so if Bangladesh gets a lot of work orders for them, they would be sent to Sri Lanka for further value addition. “We do not see any possibility of losing buyers from Bangladesh due to this initiative. Still, we are in the initial stage of the process,” Rahman added. Regarding the initiative, Ahsan H Mansur, executive director of the Policy Research Institute of Bangladesh, said there is nothing wrong with the initiative. “It can happen in international business. It is one kind of sub-contracting business but it will be done in between two states.” Mainly the small and medium garment factories that are not so much compliant and failing to make good profit would be interested in the business model. For instance, some parts of the automobile are made in China and some in Malaysia or in some other countries. But after the finished goods are assembled, they have one company’s brand. “By doing so, both Bangladeshi and Sri Lankan businessmen will divide the profit. We need not be worried about losing buyers,” he said. Currently, Sri Lankan’s market share in global apparel trade is 1.2 percent and Bangladesh’s stake is 6.5 percent.